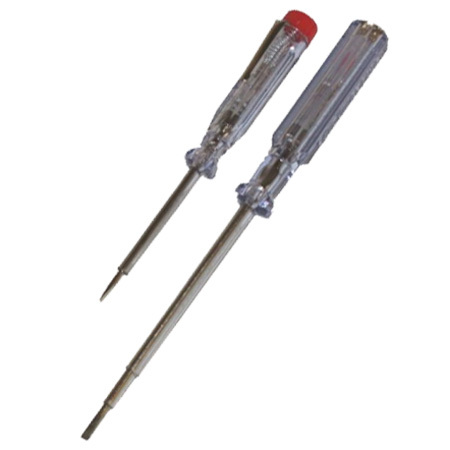 2pc mains testing screwdrivers from Toolzone Tools. These electrical testing screwdrivers will test from 100-250V. 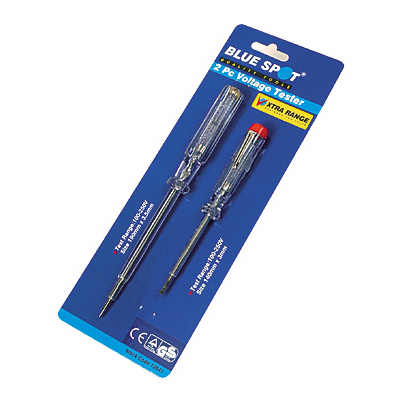 Small screwdriver measures: 3mm straight end, length 140mm and comes with clip to fit into a pocket. Large screwdriver measures: 3.5mm straight end, length 190mm. All fully safety stamped. Please note that Am-Tech also pack this product but it will be identical.